Description: New genuine Acer laptop hinge & bracket set. 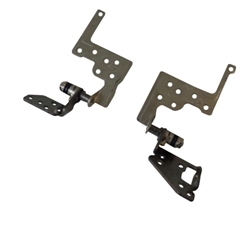 This set includes the right and the left lcd hinge and bracket. This hinge set is for non-touchscreen versions only. If your laptop has a touchscreen, this is not the correct part. Compatible Part #'s: 33.MNUN7.001, 33.MNUN7.002.